THIS BOOK IS THE HISTORY OF PATRICIA TRANSPORTATION COMPANY WHICH WAS A BIG WINTER FREIGHTING OPERATION. 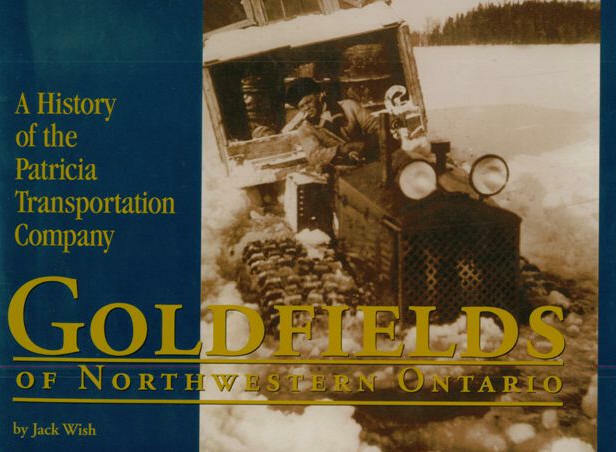 THIS COMPANY MOVED THE TOWN OF SHERRIDON MANITOBA TO LYNN LAKE MANITOBA IN THE 3 WINTERS. IT IS A VERY GOOD BOOK, LOTS OF FRAME-ABLE PICTURES AND I ENJOYED READING HOW THEY FREIGHTED WITH BOAT, PLANES AND CAT TRAINS. IT IS A VERY HARD BOOK TO FIND AND VERY PRICEY, SO DO A SEARCH ON THE INTERNET. I WAS LUCKY AND BOUGHT THIS ONE ON EBAY FOR $11.99 CDN MONEY.